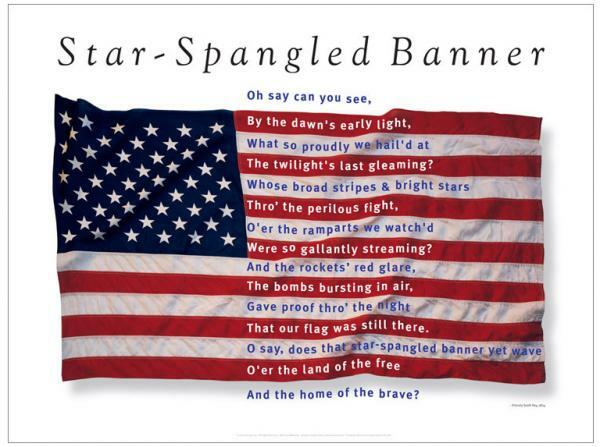 The Star Spangled Banner Lyrics : Let's Celebrate! Francis Scott Key was inspired to write a poem about the beautiful American flag after it was still flying high after the attack on September 13, 1814. A gifted writer and hymnist, Key's poem would later be set to music and become the "Star Spangled Banner". The song became very popular, and in 1931, Congress officially made it the National Anthem.